They’re creepy and they’re kooky, mysterious and spooky. They’re all together ooky, these Halloween Spirits”. Okay, so that’s not how it goes, but the beginning theme to the Adams Family show perfectly describes the following spirits. As many of you will be soon, these alcohol brands are rocking their best Halloween costumes just in time for the spooky holiday. 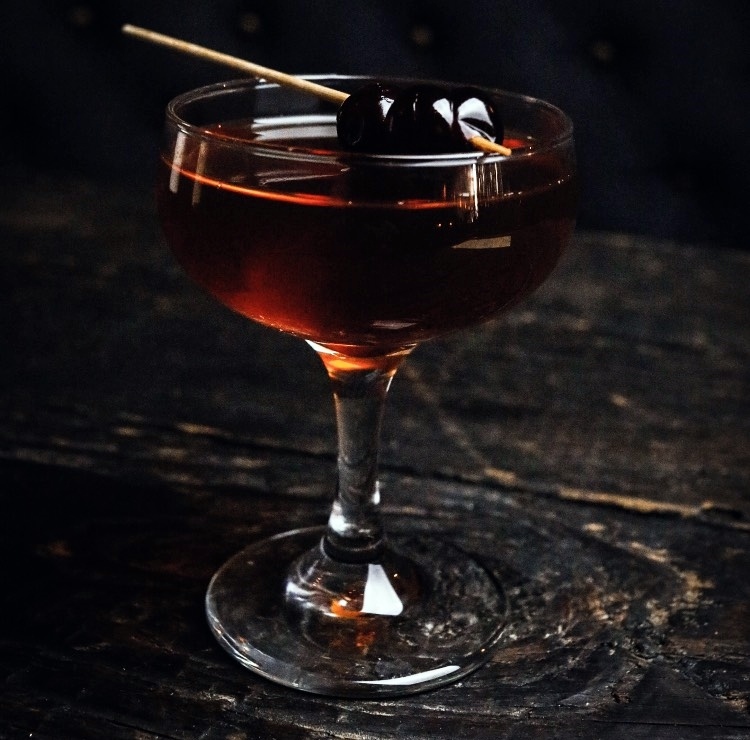 Join us as we highlight some great Boo-zy Halloween libations. 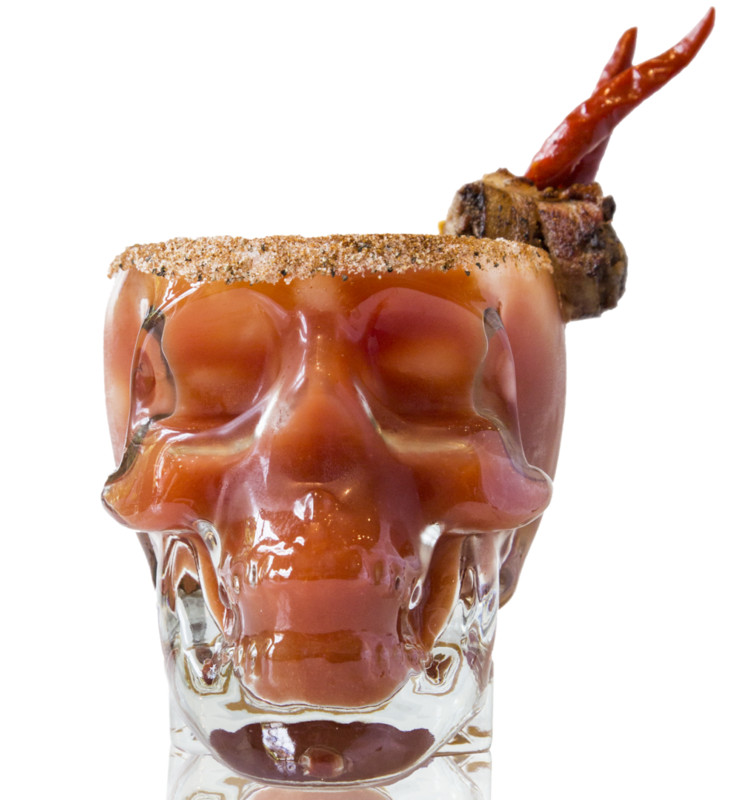 Feast your eyes on the Halloween-themed Stella Rosa Wines “Stellaween Collection”, Crystal Head Vodka John Alexander Artist Series, and Mezcales de Leyenda’s Cementerio Mezcalero (Mezcal Graveyard); and great cocktails from Avion Tequila, Cruzan Rum, Novo Fogo Cachaça, and more. 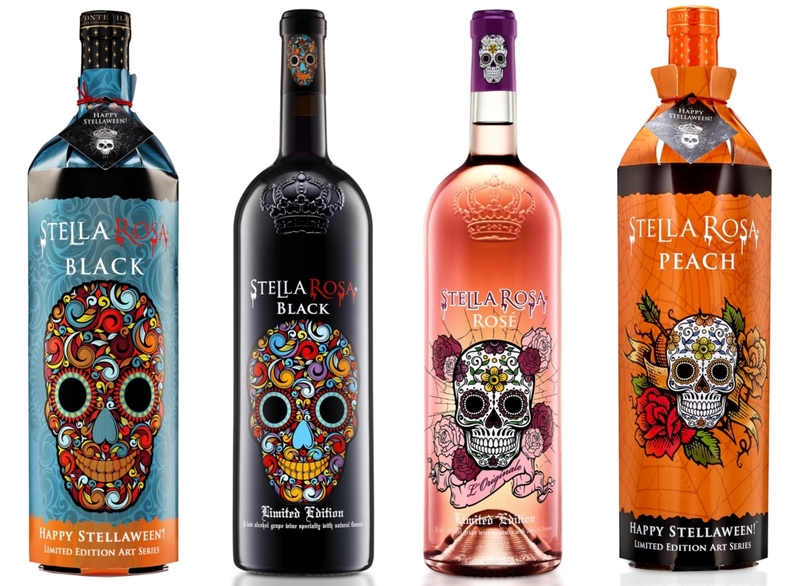 Do you dare to Taste The Magic of Stella Rosa Black, Red, and Peach wrapped in their spooky, limited-edition Stellaween sleeves? When you purchase these dangerously delicious, semi-sweet wines this Halloween and you’ll get a free spooky collectible art sleeve! Available for a very affordable $8.95-$11.95, you will truly have yourself a Boo-zy Halloween. 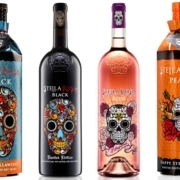 For those of you who are looking to double the treat, the Halloween Stella Rosa offers an exclusive 1.5 Magnum bottles available in Stella black and rosé. 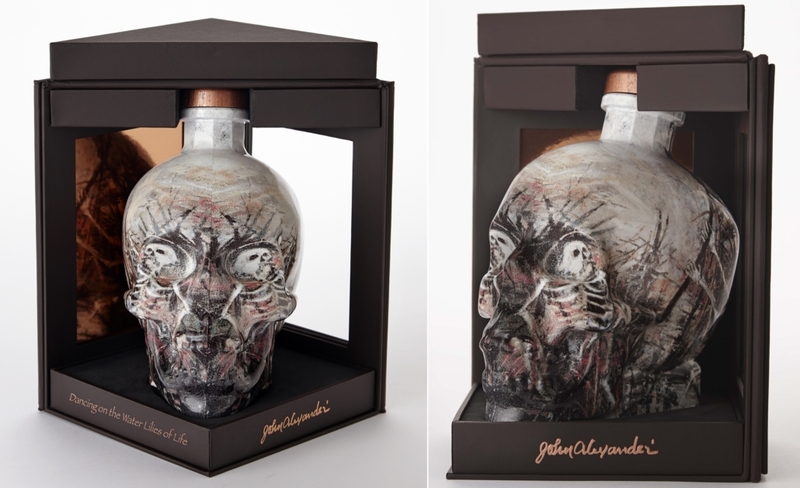 Multi-award winning, ultra-premium Crystal Head Vodka, known for its signature skull bottle, is really upping the spooky factor with the debut of the first limited-edition artist series bottle by artist John Alexander. Alexander’s work is celebrated in this exquisite artist series keepsake which provides a unique opportunity to own a piece of his art – “Dancing on the Water Lillies of Life”. Each of the 25,000 bottles is hand-decorated by one of three highly skilled craftsmen and then numbered to further emphasize its scarcity. The John Alexander Artist Series No.1 bottle will be available in 750 mL format, retailing for $149.95. The ghostly skull bottle makes a perfect Boo-zy Halloween conversation piece. 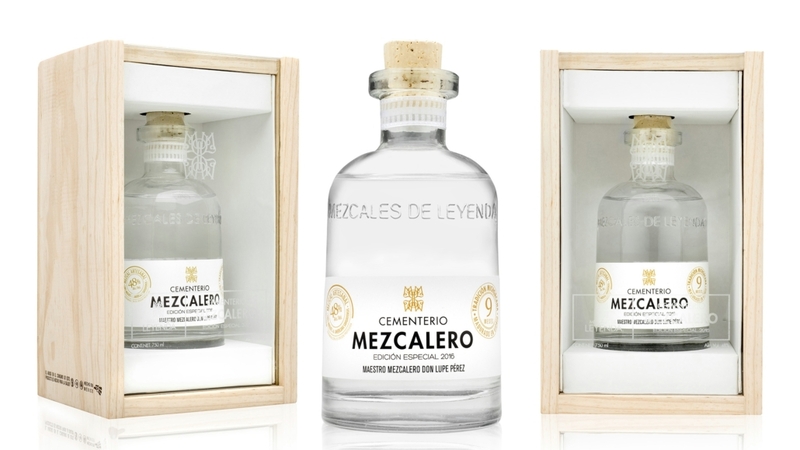 Mezcales de Leyenda’s Cementerio Mezcalero is the first release in a series of mezcals that honors an old tradition where some of the world’s best mezcals are aged in glass, generally underground, to be later unearthed for family celebrations. 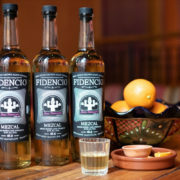 This unique mezcal features aromas of roasted chestnuts and dried fruits and a flavor profile that exhibits buttery notes and mild smoke with a long finish. 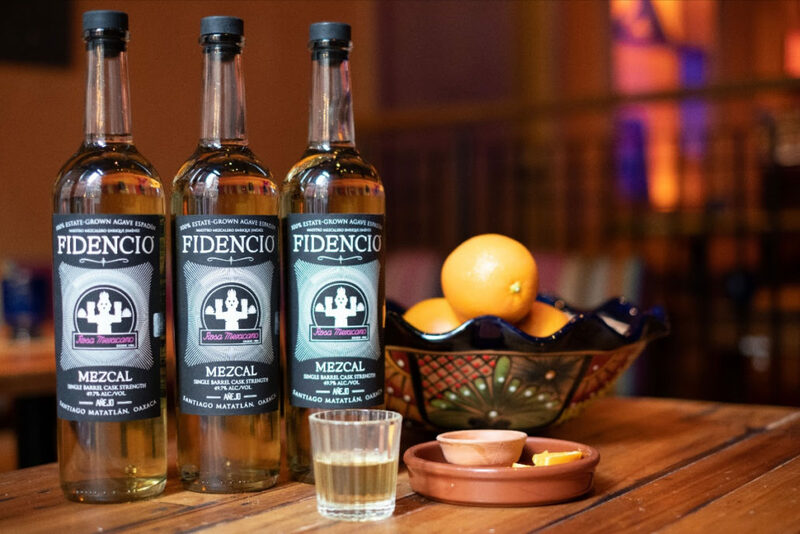 A portion of sales proceeds of Mezcales de Leyenda’s Cementerio Mezcalero is donated to purchase tourism equipment of Tzitzio, Michoacán. This promotes the ‘desentierros mezcaleros’ (mezcal unearthing) traditionally held during the celebration of Día de Muertos (Day of the Dead). A bottle of this amazing mezcal retails for $279.99. Rub the rim of the glass with a lemon wedge and dip into a salt, pepper, and smoked paprika mix. In a shaker half-filled with ice, add in all ingredients and shake well. Strain into the pre-rimmed glass filled with ice. Prepare a double boiler. Add the Gummy Bears and the water to the top of the boiler. Let Gummy Bears slowly melt into the water, stirring occasionally. Once they are completely incorporated, transfer the mixture into a separate saucepan. Add citric acid and salt and bring to a boil. Boil for 10 minutes, stirring occasionally. Once the mixture has reduced to 1 cup, you’re ready to build the shots. 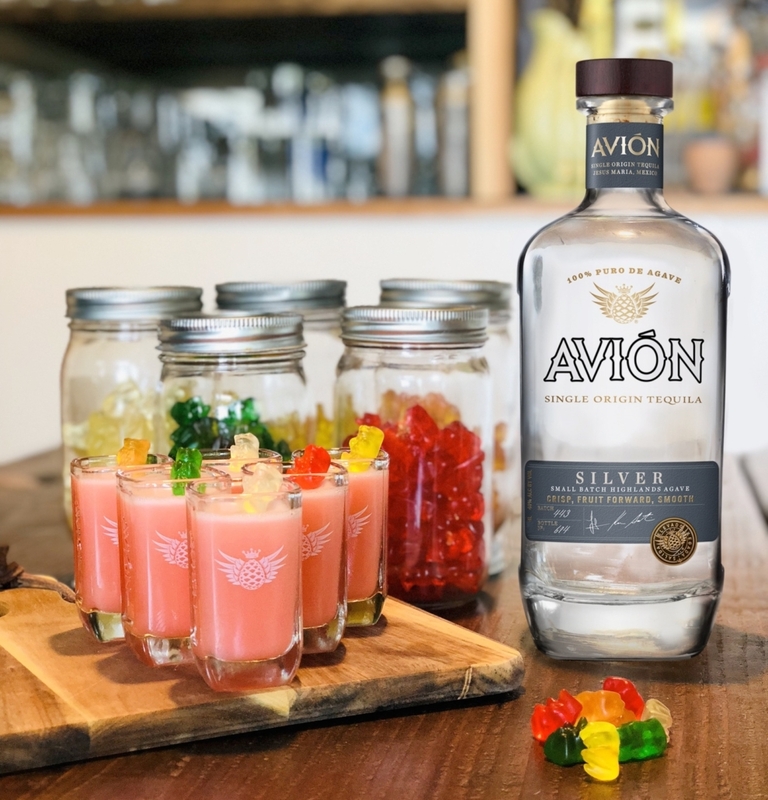 Add the Tequila Avión to the Gummy Bear Syrup while it’s still hot enough that it hasn’t started to set. Slowly whisk in gelatin, so that there are no big clumps. 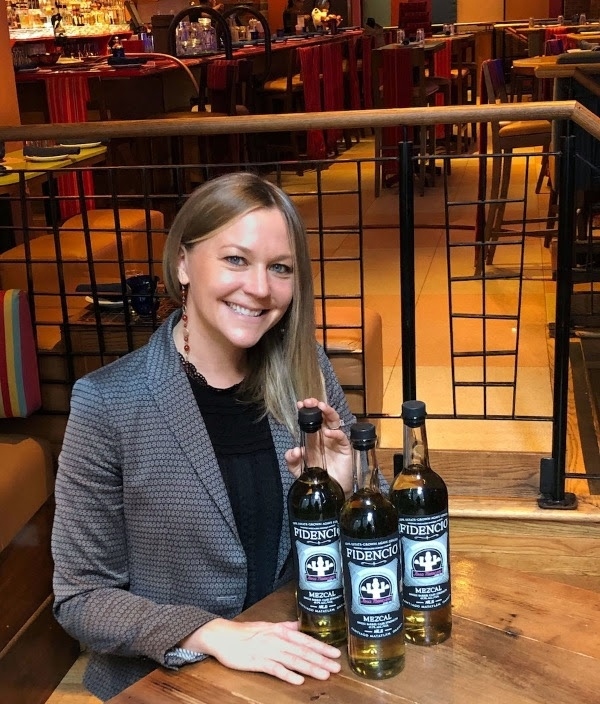 Prepare your serving vessels by spraying the insides of them lightly with olive oil cooking spray, so the shots will release more easily when they’re set up. Transfer the mixture into a pourable container and pour into the prepared serving vessels. Place vessels in the refrigerator and let set up (about 2 hours). When they’re fully set, they’re ready to enjoy! 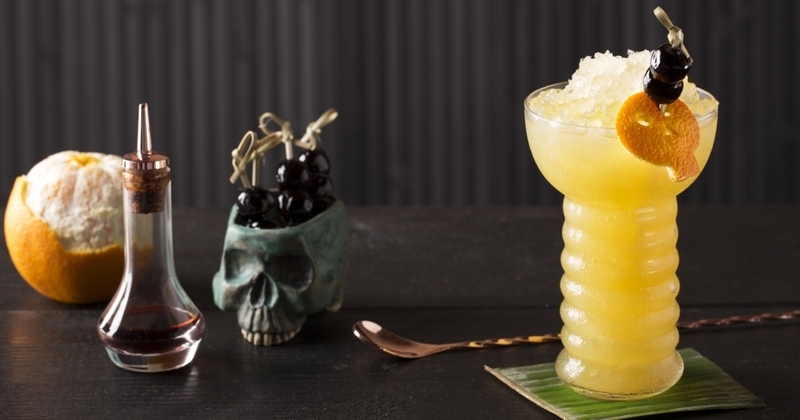 Combine Cruzan Aged Light Rum, Cruzan Aged Dark Rum, apricot liqueur, orange juice and lime bitters in a cocktail shaker with ice. Strain into a large glass filled with ice. 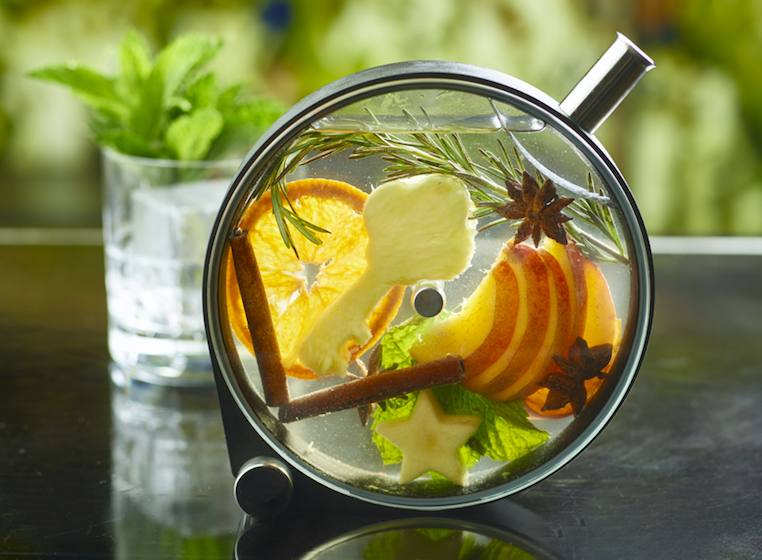 Float one part Cruzan® Black Strap Rum on top of each glass, then garnish with the orange peel and a cocktail pick of cherries. For Skeleton Garnish: Peel orange rind and lay flat on a surface. Take circle cookie cutter and cut circle space out of the peel. Use a paring knife to cut mini-circles for eyes, nose, and jaw of skeleton garnish.